One of the best things about February is Valentine’s Day and one of the best things about Valentine’s Day is chocolate. Valentine’s Day is just a few days away and wine-loving chocoholics are celebrating – all month. The “Wine and Chocolate Pairings” at Penns Wood Winery (124 Beaver Valley Road, Chadds Ford, 610-459-0808, http://www.pennswoodsevents.com) will be held every Saturday and Sunday in February from 11 a.m.-5 p.m. and Valentine’s Day (February 14) from 1-7 p.m. 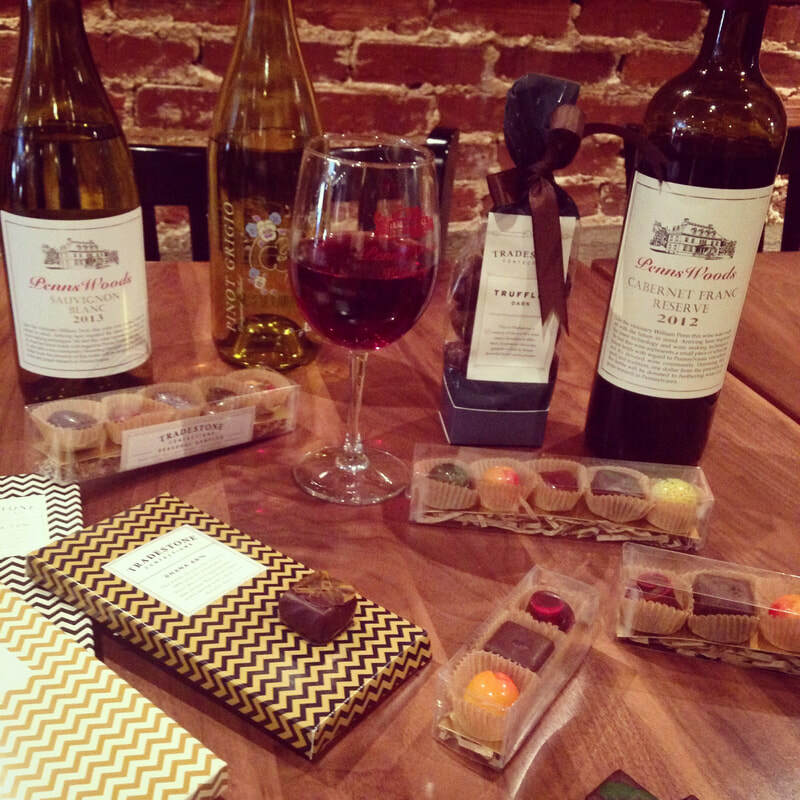 The Chaddsford Winery (632 Baltimore Pike, Chadds Ford, 610-388-6221, http://www.chaddsford.com) will host Wine & Chocolate Pairings every Saturday and Sunday in February from 1-5 p.m. and Valentine’s Day (February 14) from noon-7 p.m. The event will feature a walking wine-and-chocolate tour of Chaddsford Winery. 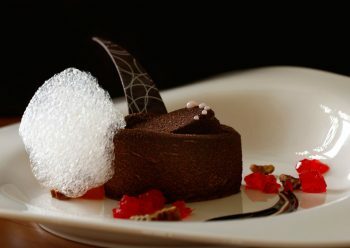 Visitors can explore several areas of the historic property as they visit five stations featuring artisan chocolates carefully paired with the winery’s award-winning wines. On February 2, the Chadds Ford Historical Society will host its “Escape Brandywine” escape room at its Barn Visitors Center (1736 Creek Road, Chadds Ford, 610-388-7376,www.chaddsfordhistory.org). 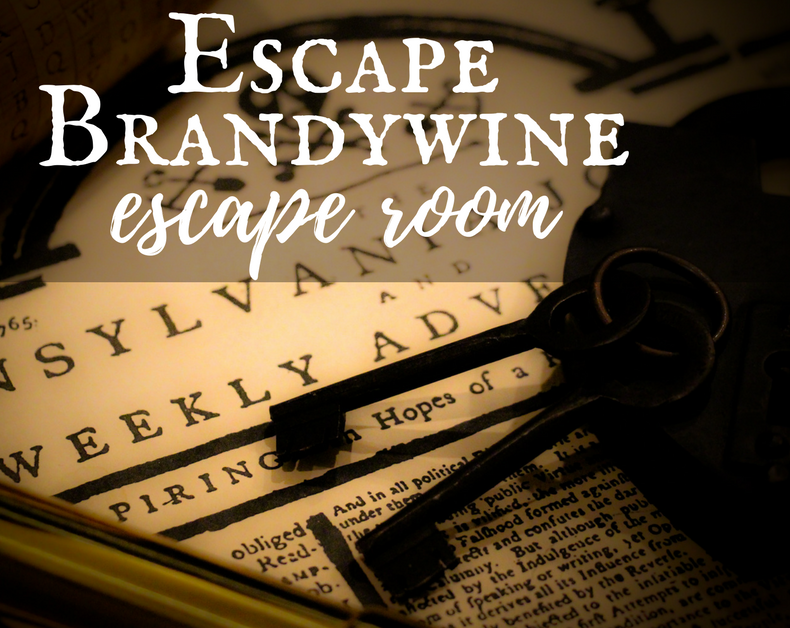 “Escape Brandywine” is an escape room experience set inside the John Chads House (c.1725). This unique program occurs inside an authentic historical house with a Revolutionary War mission. “Escape Brandywine” places participants into roles of spies on the eve of the Battle of Brandywine and charges them with finding General Howe’s battle plans that have been hidden inside the house for safe keeping. Using real 18th century spy techniques, codes and cyphers, players have 60 minutes to solve puzzles that lead to the plans and an escape to deliver them to George Washington. The event will have three time slots – 10 a.m., noon and 2 p.m. — or by appointment for groups of 8-12. Video link for “Escape Brandywine” — https://youtu.be/968Jr_pWMBI. Admission is $28 per person. Chester County hosts a huge number of special events every year and the annual schedule is always filled with art shows, festivals and equestrian events. 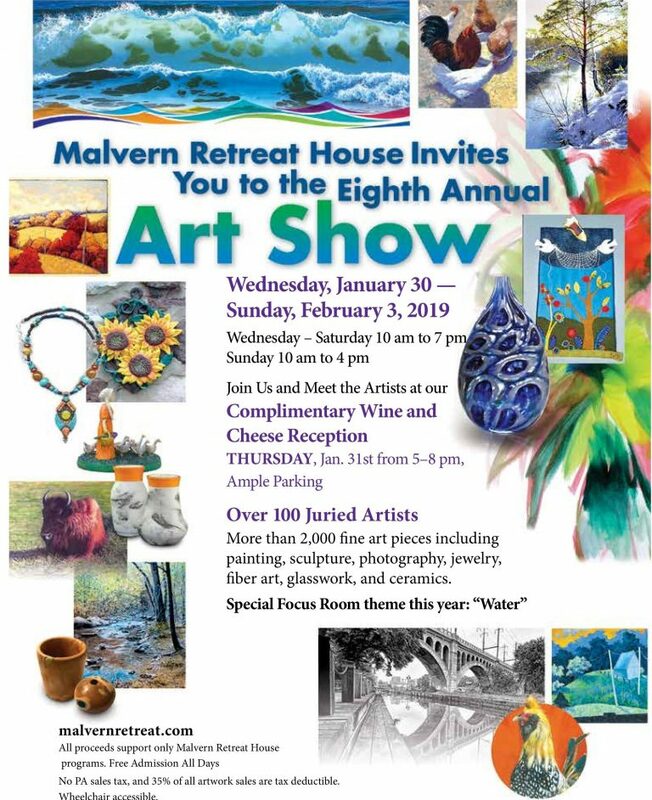 One of the most popular art shows each year is Malvern Retreat House’s Art Show (McShain-Horstmann Family Life Center, 315 South Warren Avenue, Malvern, 610-644-0400, www.MalvernRetreat.com). Participating Chester County artists are Terry Kramzer (Kennett Square), Vidya Shyamsundar (Downingtown), Mary Ann Weselak (Unionville), Paula Mintzer (Malvern), Sandra Severson (Honey Brook), Diane Cannon (West Chester), Wendy McClatchy (Malvern), Maria de los Morales (Paoli), Gary Altoonian (West Chester), Steven Schaefer (West Chester), Fiona Katarina (Phoenixville), Angela Colasanti (Uwchland), Nell Hazinski (Charlestown), Jeanne Marston (Exton), Linda Beisty (Malvern), and Victor Mordasov (West Chester). 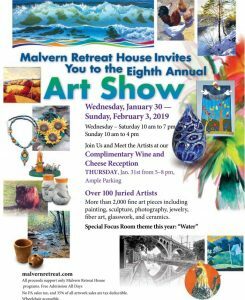 The list of county artists also includes Ginny Morton (Chester Springs), Lisa Lynn (Malvern), Gregory Teter (West Chester), Claire Saponaro (Phoenixville), Kathryn Deaville (West Chester), Scott Foster (Downingtown), Teddi Silver (Landenburg), Donald Firth (Berwyn), Robert Siliani (West Chester), Sue Ciccone (West Chester), Eileen Gallagher (Kimberton), Jean Yoder (West Chester), Alecia Miller (Phoenixville), and Luis Morales (West Chester). 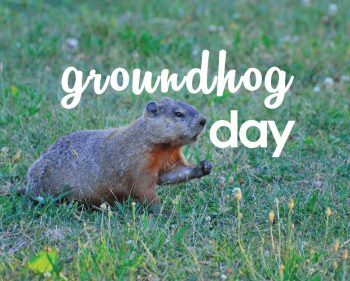 The Delaware Museum of Natural History (4840 Kennett Pike, Wilmington, Delaware, 302-658-9111, http://www.delmnh.org) is hosting a “Groundhog Day Celebration” on February 2 from 9:30 a.m.-12:30 p.m. Visitors to the museum are invited to enjoy the morning in celebration of the groundhog. Participants can learn the facts, fiction and folklore about this popular ground-dwelling creature. The event includes nature walks in the Museum’s backyard in search of its resident groundhog, groundhog science, craft and activity stations, and live animal presentations (including a common relative of the groundhog). The museum also has a new attraction. “Design Zone” just opened and is scheduled to run through May 6. “Design Zone” is a highly interactive, hands-on exhibit where visitors explore creative concepts to learn the processes and tools needed to create a successful design. “Design Zone” is organized into three thematic zones, all highlighting the importance of science and mathematical thinking in areas critical to building creativity and innovation: art, music, and engineering. Admission to the museum is $9 (ages 3-59), $8 for seniors (age 60 and older) and $3 for toddlers (ages one and two). There will also be a “Groundhog Day Festival” on February 2 at the John Heinz National Wildlife Refuge (8601 Lindbergh Blvd., Philadelphia, https://www.fws.gov/refuge/John_Heinz/). This free festival features family-friendly activities that include an early morning “Groundhog Hike” at 9 a.m. Live music, refreshments, games, crafts, and activities follow from 10 a.m.-1 p.m., including a super-size groundhog burrow for kids to explore. Throughout the day, three interactive presentations will feature beekeeping, live animals, and a Franklin Institute weather expert. In other museum activity geared for youngsters, the Garden State Discovery Museum: (2040 Springdale Road, Cherry Hill, New Jersey, 856-424-1233, www.discoverymuseum.com) is presenting a special program called “Passport to Discovery” on selected weekends now through the end of March. The event, which is scheduled to run from noon-3 p.m., features the Universal African Dance and Drum Ensemble. The veteran entertainment troupe delivers a powerful and electrifying performance that includes song, dance, and drum. Visitors can take a closer look at the museum’s rare printing of the Emancipation Proclamation to learn more about its history, the history of the Civil War, and the background of the 13th, 14th, and 15th Amendments. As an added attraction, the Center is offering a special “Winter Warm Up” on admission. Now through March 31, tickets are only $10 for adults and $7.50 for children. On February 3, the Greater Philadelphia Expo Center (100 Station Road, Oaks, http://www.eastcoastreptilesuperexpos.com/index.html) will host the East Coast Reptile Super Expo featuring hundreds of live snakes and reptiles. 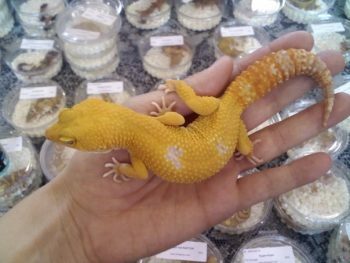 Many people think snakes and lizards are interesting creatures and maybe even fun pets to own. If you fall into this category, you should check out the show on Saturday. A wide array of reptiles will be on display as part of the popular exhibition. The roster of very diverse vendors includes AZO Reptiles, Rose’s Reptiles, Livecargo Pets & Supplies, Dale’s Bearded Dragons, Blake’s Exotic Reptiles, Dower Reptiles & Rodents, Reptile Kingdom, DHA Pythons, Gecko Haven, Skins and Scales, Hunger Reptiles, Jungle Emporium, The Snake Pit, Delaware Turtle, Harris in Wonderland, Just Lizards and Outback Reptiles. The list also includes RKZ Rodents. Monstar Reptiles, Turtle to Turtle, Delaware Valley Herpetarium, J-N-T Reptiles, Newville Dragons, PM Herps, Jay Jacoby Serpent Propagation, Black Jungle Terrarium Supply,AZO Reptiles, VSCV Ventures LLC, Dachiu Dragons, Tom Rogan Reptiles, Native Exotics and Jon & Wess Reptiles. Other featured vendors will be Serpents Plus, Heath’s Frog Farm, Corralus Creations, Rogue Reptiles LLC, Jason R Bartolett Captive Bred Reptiles, Fowler Reptiles, Dragon Fortress, Turtle Towns, Garden State Tortoise LLC, Reptile Addicts, Bob’s Critters, Franken Chams, MCO Reptiles and Fins, Feathers, Paws & Claws. Even if you have only a casual interest in cars, you’ll find plenty to like at the Philadelphia International Auto Show. The 2019 edition of the popular show opens on February 2 and runs through February 10 at the Pennsylvania Convention Center (1101 Arch Street, Philadelphia, 610 279-5229, www.phillyautoshow.com). 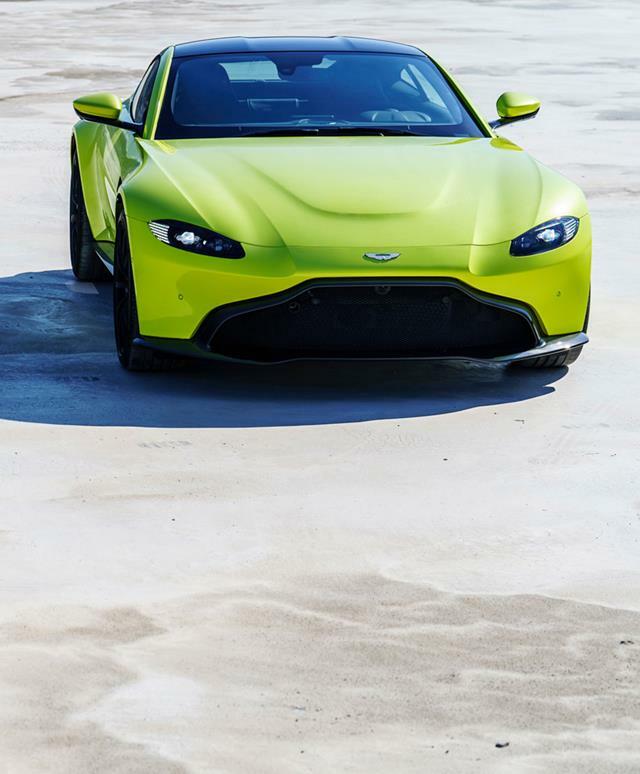 The 2019 Philadelphia Auto Show hours are noon-10 p.m. on weekdays, 9 a.m.-10 p.m. on Saturdays, 9 a.m.-6 p.m. on February 3. Tickets are $14 for adults (age 13 and up), $11 for active military, $7 for seniors and children (ages 7-12). Children age 6 and younger do not require a ticket. The Reading Terminal Market (5 North 12th Street, Philadelphia, www.readingterminalmarket.org) is celebrating the Year of the Pig with a Chinese New Year festival on February 2. It will be a day-long event featuring cooking demonstrations, live performances and discussions. A special Lion Dance and other celebratory performances around the market are sprinkled in between exclusive cooking demonstrations by Sakura Mandarin Restaurant and Sang Kee Peking Duck. The Philadelphia Suns will perform a Lion Dance around the Market to bring good luck and fortune. At 11 a.m., there will be a Chinese cultural performance in the center setting area featuring Chinese Dance Performances by Shero Dance Crew. A calligrapher, children’s art activities, and carts selling trinkets from Chinatown will be happening throughout the day. The event, which features free admission, runs from 9:30 a.m.-3 p.m.
On February 2, the Independence Seaport Museum (211 South Christopher Columbus Boulevard, Philadelphia, phillyseaport.org) will host a Lunar New Year celebration. The program, which is scheduled to run from 11 a.m.-3 p.m., will focus on New Year traditions from China, Korea, Vietnam and Japan with colorful activities from around the world. Participants can create dragon puppets, which have been a tradition in Vietnam for generations. There will be a display of Japanese lucky cat figurines that will bring good fortune for the year to come. Visitors can test their techniques in the Korean board game of Yut, build Chinese lanterns and bring in the New Year with a bang by crafting a Year of the Pig drum. Cost to attend the event is included with museum admission — $17, general admission; $12, children (3-12), military (active & retired) and seniors (65 & over). 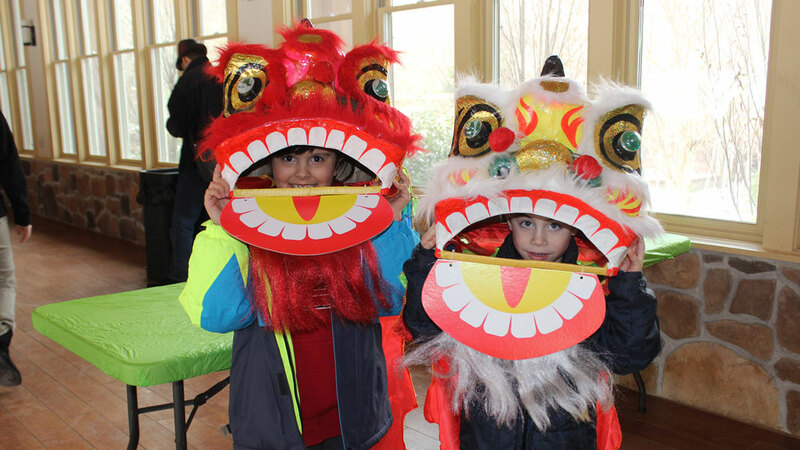 There will also be a Chinese New Year Celebration on February 2 at Elmwood Park Zoo (1661 Harding Boulevard, Norristown, www.elmwoodparkzoo.org) starting at noon. 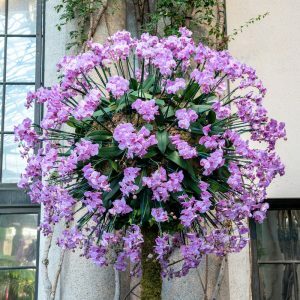 The event will feature an educational program, crafts, live animal greetings featuring “animals of the zodiac” and the opportunity to try on a dragon mask. The event is free to attend with zoo admission which is $10.95. 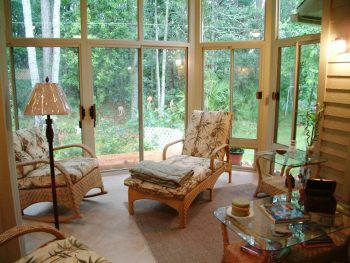 If your list of favorite pastimes includes working on small projects around the house and devoting time to home improvement, you should consider attending the Suburban Pennsylvania Spring Home Show this weekend. The popular annual show features a large number of exhibits representing the home renovation and decorating industry. 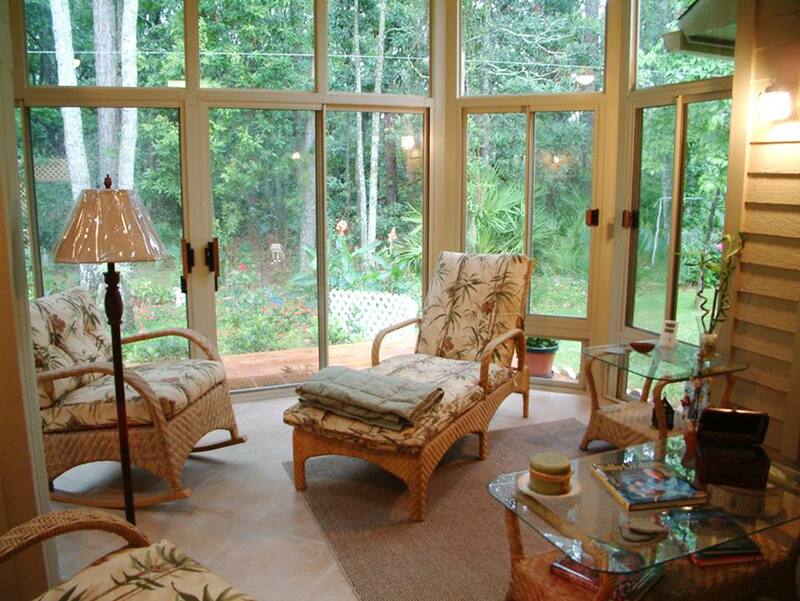 Showcased products and services include roofing, windows, flooring, decking, landscaping, spas, contractors, designers, water, swimming pools, doors, gutters security systems, cabinetry, entertainment systems, appliances, furniture, vacuums and more. Tickets are $10 for adults and $3 for children (ages 6-12).